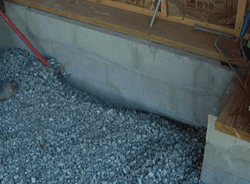 A pre-treat refers to a termite service done to a site that is under new construction. Depending on the type of construction this is done a number of ways and in most cases in several phases. First, a monitoring system can be placed around the structure after the building grade and landscaping is completely done. Second, if the conventional method of liquid treatment is desired a licensed company with specialized equipment is needed. Third, there is a method of spraying the wood directly after the framing work is done. The builder contacts us after footings, foundation walls, and pillars have been built and before any slabs have been poured. If the construction is crawl space Dellpest will first treat that area before any framing or sub flooring is done. Then treat any slab areas such as garages or porches. The final phase would be to come back again to trench and treat the outside perimeter after all grading and landscaping is complete. Trenching around pillars, foundation elements such as chimneys and inside foundation walls of a crawl space before framing is done. Treating the trenches and rodding depending on the depth to the footers. The liquid is applied at the label rate of four gallons per ten linear feet, per foot of depth to a minimum of four feet for vertical protection. In slab areas trenching is also done and applied at the same rate as described above. 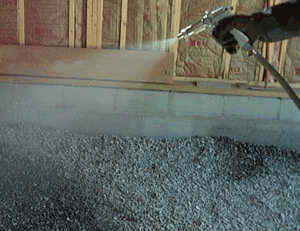 Termiticide is also applied as a horizontal barrier to the fill material at a rate of one gallon per 10 square feet. It is also important that porches and stoops be treated since this is where most of all future termite problems occur. These are treated also in the same manner as described in the slab explanation. Before we come back again to perform the final phase all form board material need already be removed along with all phases of construction be complete. An outside barrier is done by trenching the soil 6 inches deep and 6 inches wide directly along the foundation wall around the whole perimeter of the structure. Chemical is applied at the rate of four gallons per ten linear feet, per foot of depth to a minimum of four feet for vertical protection. If slabs or other obstacles are planned to abut to the foundation walls before the construction is complete DellPest needs to be informed of this before the first phase is done. The termite work is guaranteed for one year from the first time treatment is performed. Termite agreements can be transferred to the new owner and is renewable for a small fee at each anniversary date. It is highly recommended that the new owner keeps the contract in force because a conventional treatment later on could be very expensive. Every year we will physically show up at the property and thoroughly inspect all parts of the home. We will then write an invoice extending the warranty for a following year. The warranty covers any retreats during the year that may occur and damages(subject to term conditions). Then after five years of continuous service DellPest will at no additional charge put a booster treatment on the property to keep the barrier strong.